Member price: One copy free. 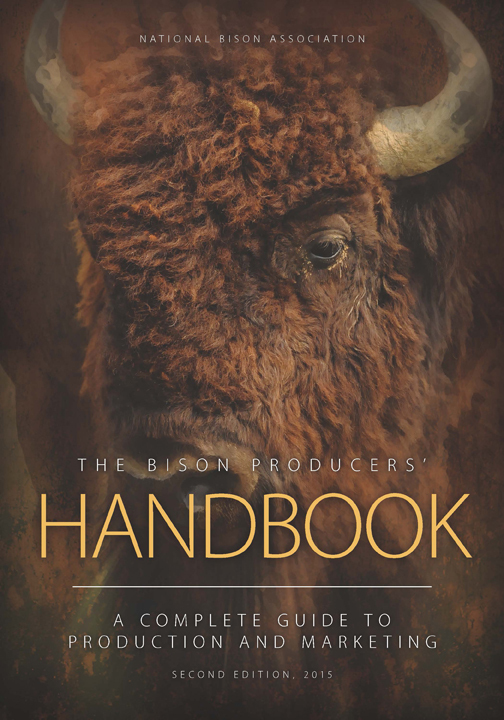 Considered the Bible of bison production, this comprehensive book is packed with information for veteran bison producers and newcomers alike. More than 30 industry experts have collaborated to develop useful, read- able information on all aspects of bison marketing and production. The 2nd edition expands on and updates the 1st edition to provide the most current information and practices. “An essential source of information for people getting started in the bison industry. It is also a valuable reference for established bison producers.” – Temple Grandin. Want a discount? Become a member by purchasing NBA Winter Conference Join & Go & Registration or 2018 NBA Summer Conference Join & Go & Registration, or log in if you are a member.